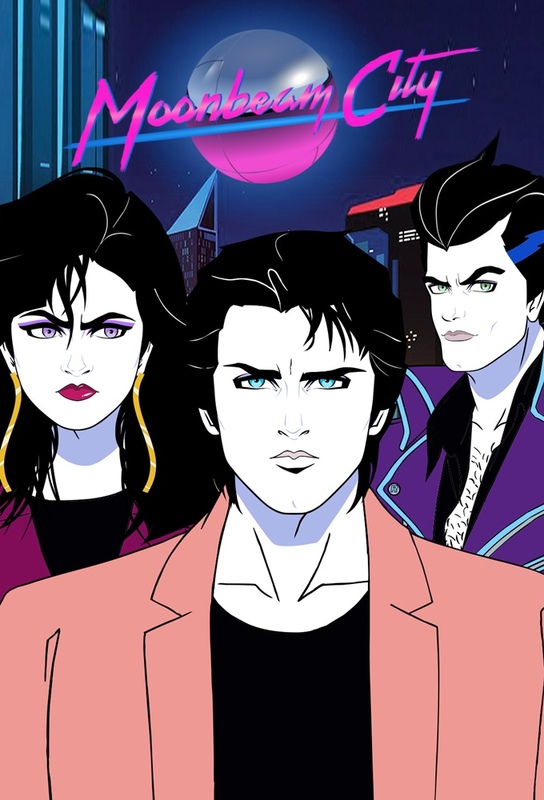 A dangerous crime lord is terrorizing Moonbeam City, but handsome idiot detective Dazzle Novak is more concerned with getting his #1 Cop mug back from his rival, Rad Cunningham, than with cracking the case. When Dazzle is approached by true-crime show Crimezappers about reenacting one of his arrests, he insists on directing the episode, but the hyper-expensive shoot quickly spirals out of control. Dazzle goes undercover at sea when hes inspired by Chrysalis naval commander father, but the assignment is complicated by his affection for a dolphin named Splasha. To prevent Mayor Eo Jaxxon from dismantling Moonbeam Citys police department, the police hook the entire city on the synthetic drug Glitzotrene, creating a drug epidemic. Guest starring Powers Boothe and Trace Adkins. During the Cop Con police event, Dazzle and Pizzaz enjoy their annual romantic tryst. With Moonbeam City PD absent, the criminal element literally cleans up the town. Rad gets lost in the virtual world of the Moonbeam Police Departments records room and Dazzle is imprisoned for his murder; Dazzle forms an odd relationship with the prisons artificially intelligent security system. Dazzle starts dating a mob boss socialite daughter; Rad gets pressured from his Canadian grifter parents into getting sham-married to his own sister.